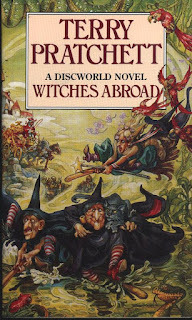 I hadn't realised just how much I had missed the witches until I picked up Witches Abroad to read. Adding to my enthusiasm was the little gleeful grin that my husband gave me when I told him what I was reading next. When Desiderata Hollow, a fairy godmother, dies without training a successor, her wand finds its way into the hands of Magrat Garlick. With the wand comes a set of instructions to prevent a servant girl from marrying a prince. And under no circumstances is she to be accompanied by Granny Weatherwax or Nanny Ogg. 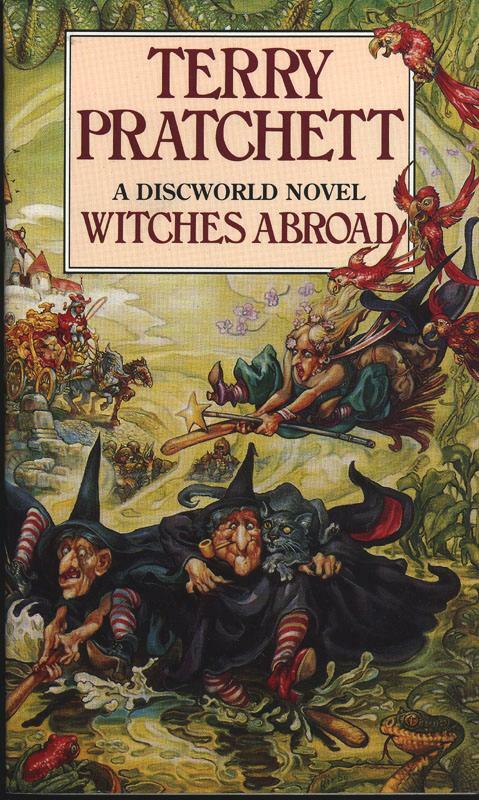 Those instructions go down about as well as was to be expected, so the three witches make their way to the city of Genua, sowing chaos and poorly understood foreign words in their wake. I'd forgotten just how much I love the witches together. I mentioned it as the prime strength of Wyrd Sisters but the chemistry between these characters is just so good that I feel I have to repeat myself. It's made all the better by taking them out of their normal environment, as they become pretty much the worst two old ladies you could take on holiday along with a long-suffering relative/babysitter. So a really good place to start from. When you add to that a truly unnerving villain in the form of Lilith, the rival fairy godmother, it leaves me struggling to find fault at all. I love villains that are firmly of the belief that they are the good guys, no question, but they're so difficult to pull off. Most of the time it ends up being a villain who acknowledges that they do bad things but justifying that it's for a good reason. It takes a special kind of author to write a villain so self-absorbed that questions of morality are just ignored entirely, and Lilith is a prime example of what happens when it's done right.